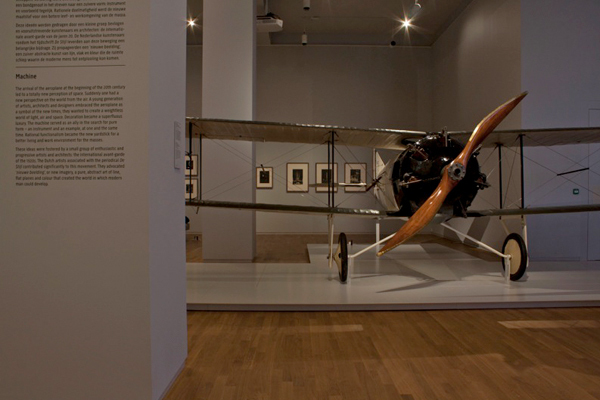 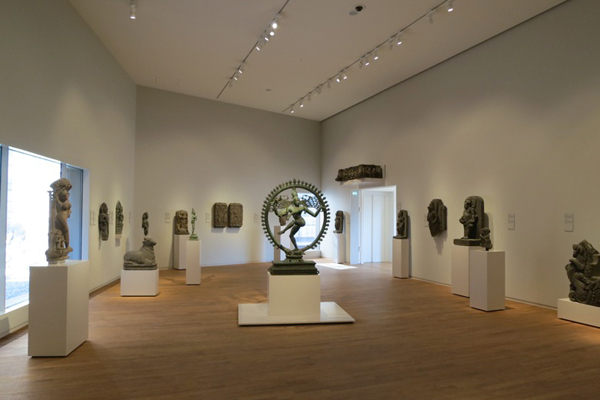 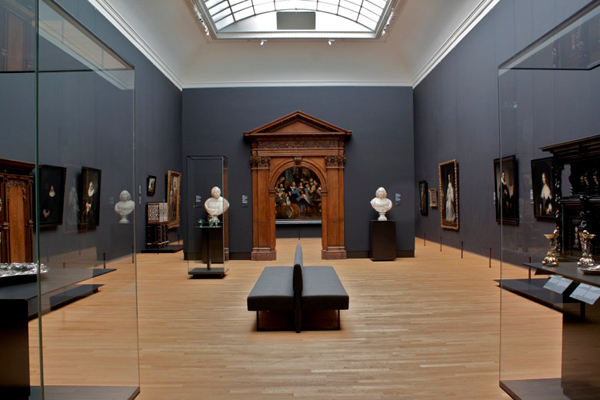 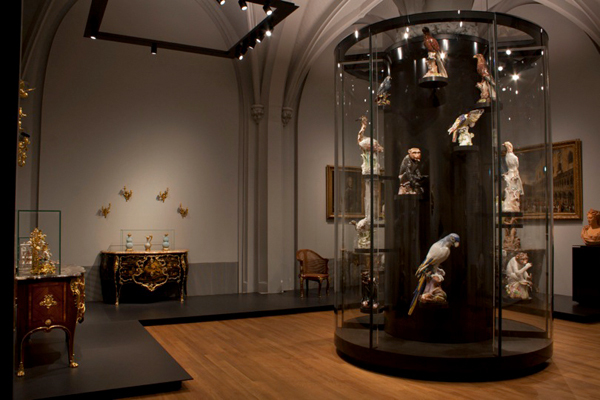 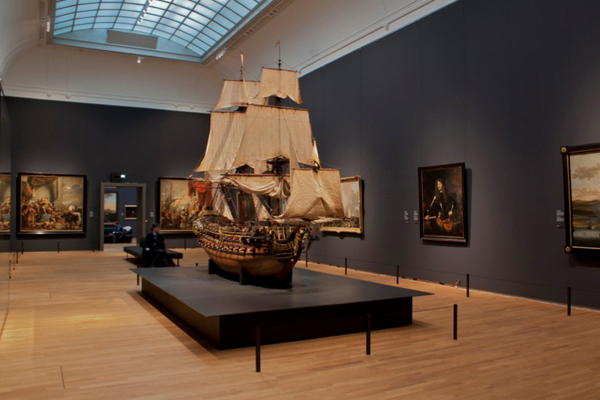 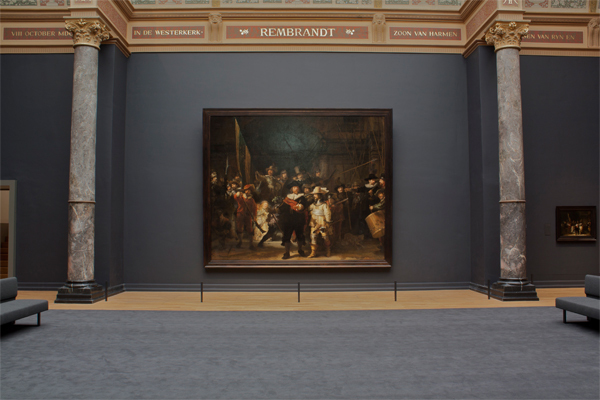 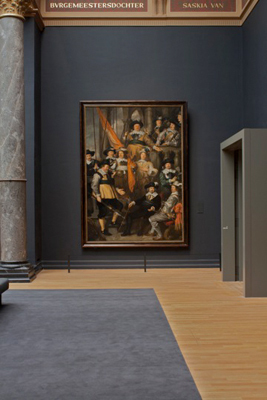 Beersnielsen was involved in the Rijksmuseum project and was assigned with the task of designing the final exhibition lighting layout plan and the custom lighting solutions for the exhibitions. 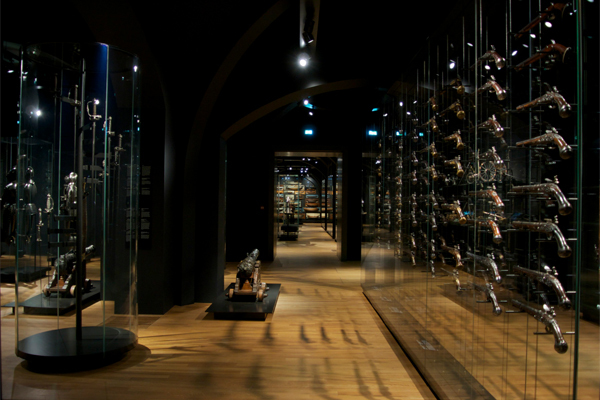 As executive lighting designers, we also were responsible for the aiming and tuning of the light on site. 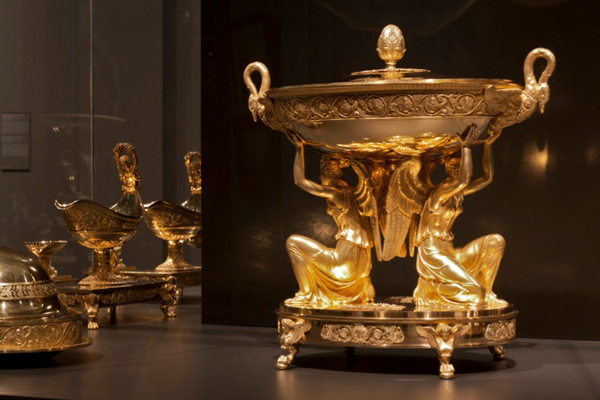 These pictures show an overview of the end result. 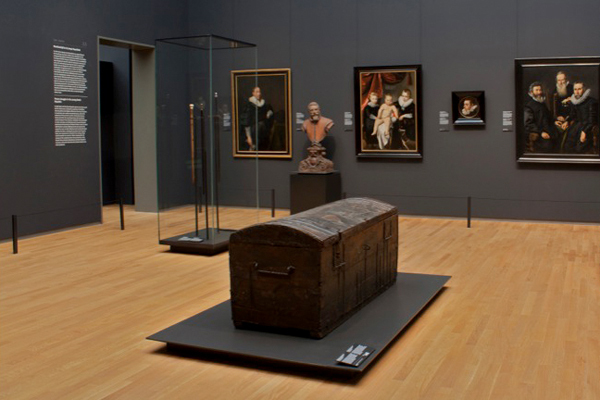 On the ground level the Special Collections galleries with low vaulted ceilings needed to feel like a treasury. 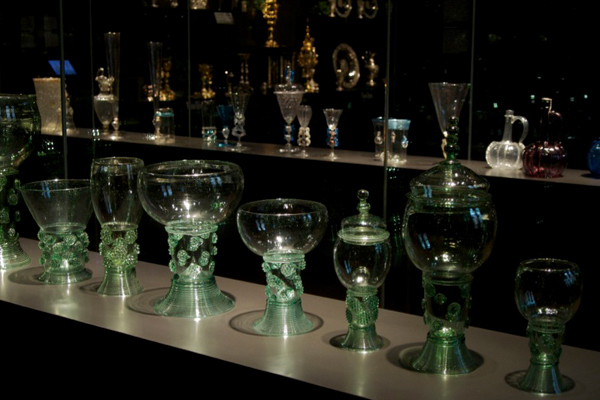 The light was therefore focused only on the objects using no additional spatial light to make the objects stand out. 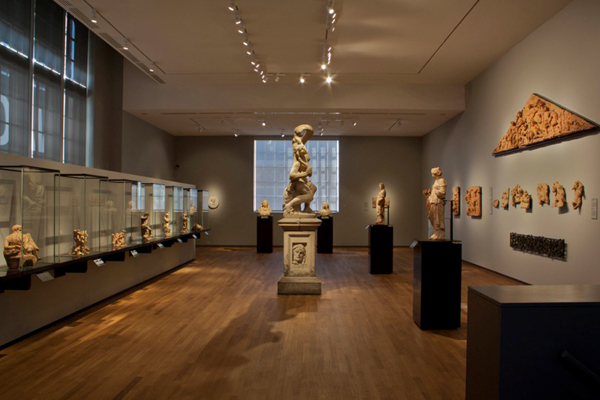 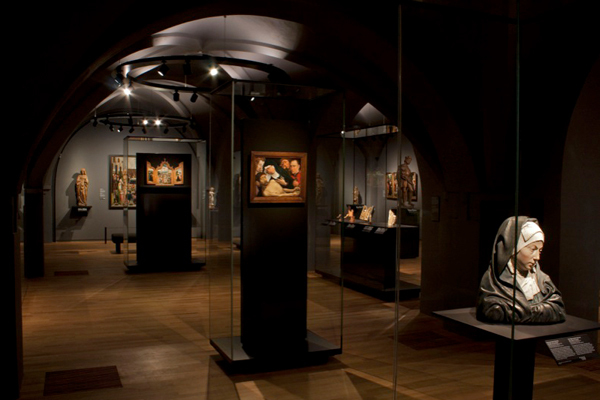 On the other hand in the galleries of the Middle Ages and Renaissance, also located on the ground floor, the vaults were illuminated to enhanced the medieval ambience of the exhibition. 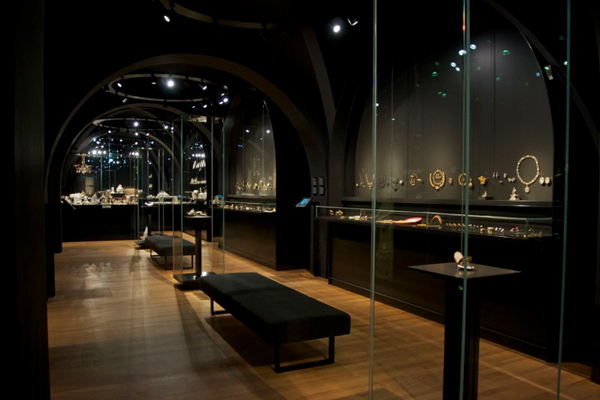 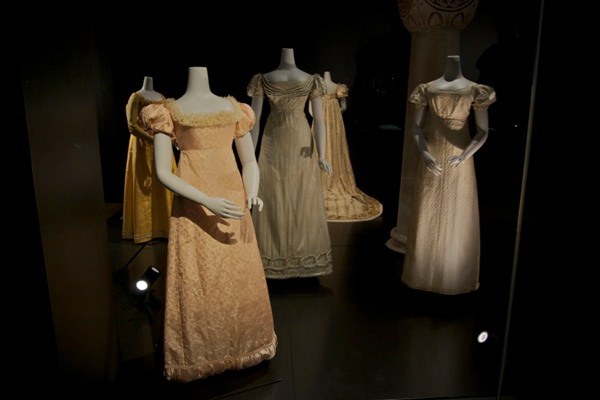 On the first floor where the 18th and 19th century collection are on show a more spatial, romantic and elegant lighting was preferred. 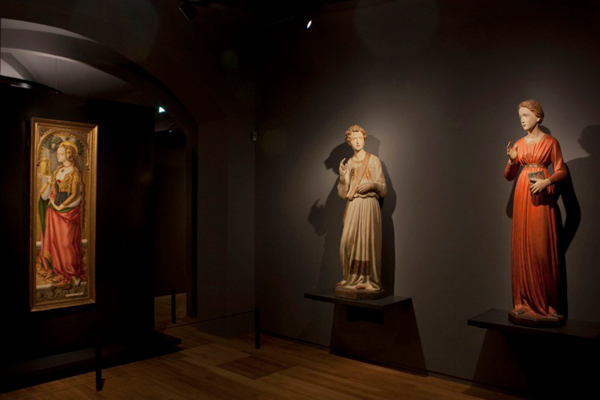 The light, in combination with the color on the walls provides a warm atmosphere, without explicitly highlighting every individual work of art. 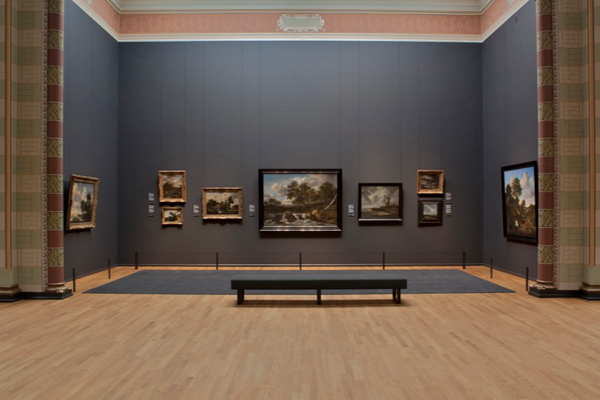 At the Gallery of Honour and the 17th century collections on the second floor, a daylight feeling was important as this was part of the ideology of the architect of the building Pierre Cuypers. 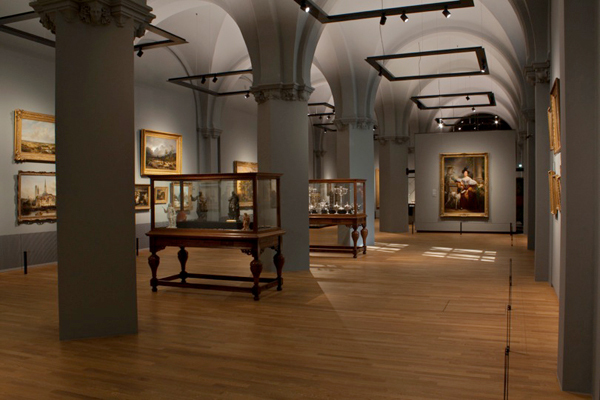 The diffuse cooler light from the lay lights is balanced with the exhibition lighting in such a way that the spotlights are almost invisible. 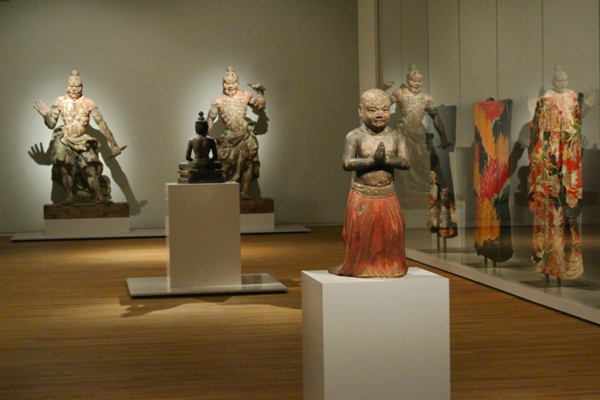 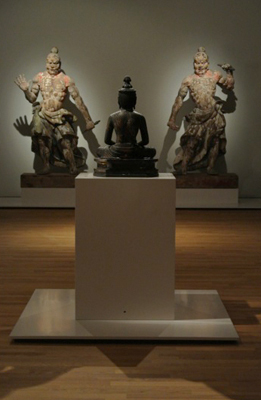 The warm light appears to come out of the paintings themselves. 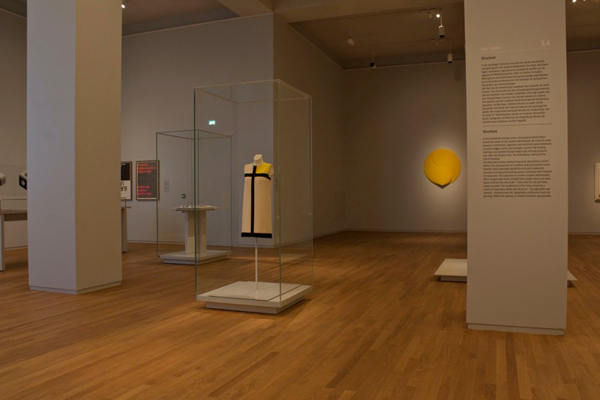 On the third floor, the 20th century collection is presented in a white modernistic space. 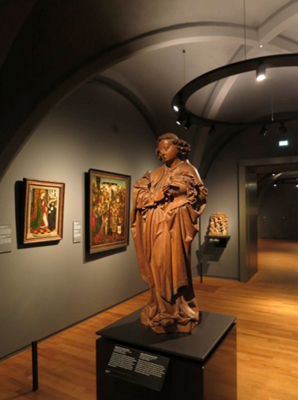 Here the lighting is even and smooth using wide beams to light the art works. 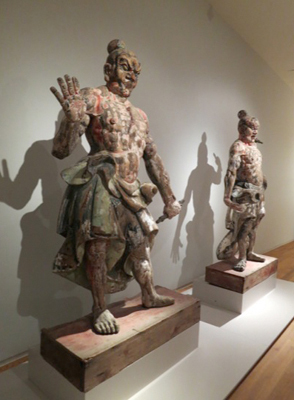 At the newly designed Asian pavilion the light enhances the feeling of peace and contemplation, and adds a little sparkle and theatrical expression to some of the main objects like the two Japanese temple guards. 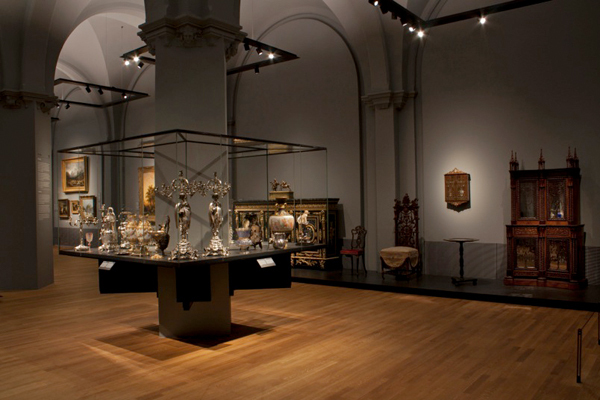 New technology provides us with new possibilities and advantages for tuning light. 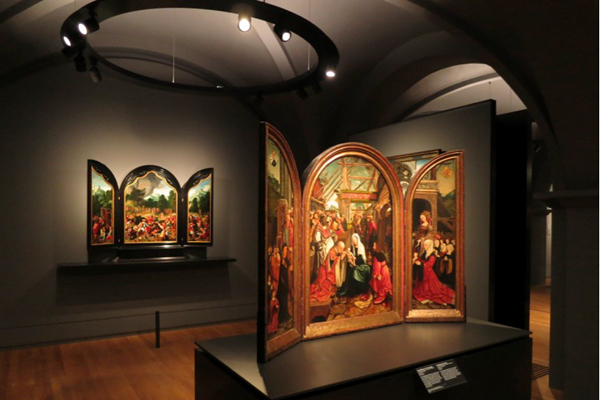 Exchangeable lenses enable optimal possibilities to illuminate each specific artwork and consistent color while dimming the light makes it possible to achieve a great balance within the total lighting scheme. 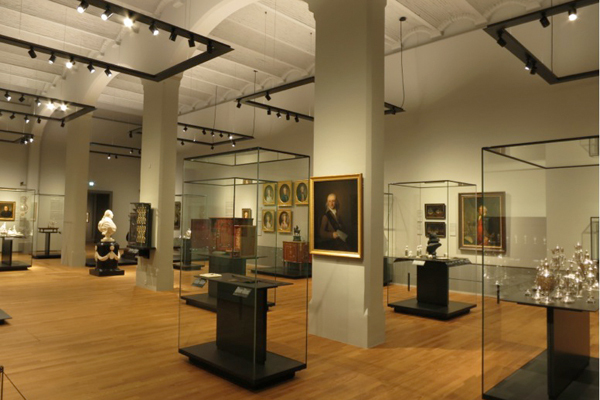 Remote dimming of spots and uplights (DALI) – either individually or per group of fixtures – makes it possible to tune the light real time, making the changes visible instantly, not only to us as lighting designers but most importantly to the curators and decision makers. 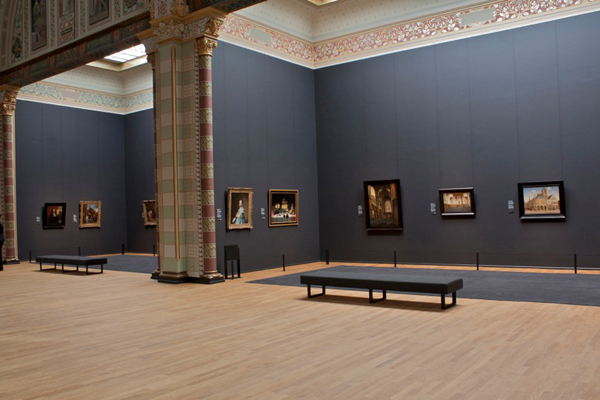 It was of key importance that the museum staff was involved in the fine tuning of the light so the lighting plan became the lighting plan OF the Rijksmuseum, and not a plan FOR the Rijksmuseum. 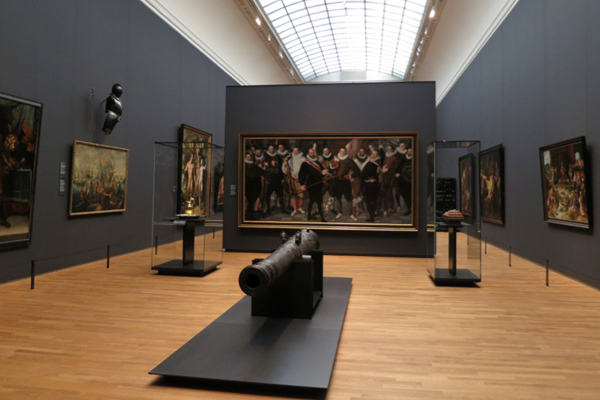 The Rijksmuseum had to become no less than the best and most beautiful museum in the Netherlands and one the finest in the world. 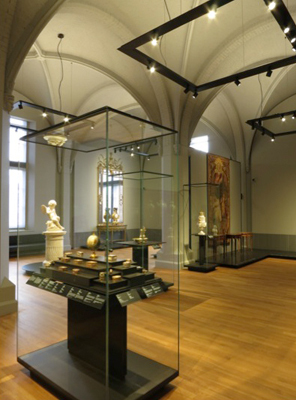 One of the greatest achievements regarding the lighting is the consistency in the quality of the light throughout the museum on one hand and being able to achieve different atmospheres per collection on the other hand. This result could only be achieved due to the great effort that was put in to the project by all team members from the beginning until the end of the entire project. 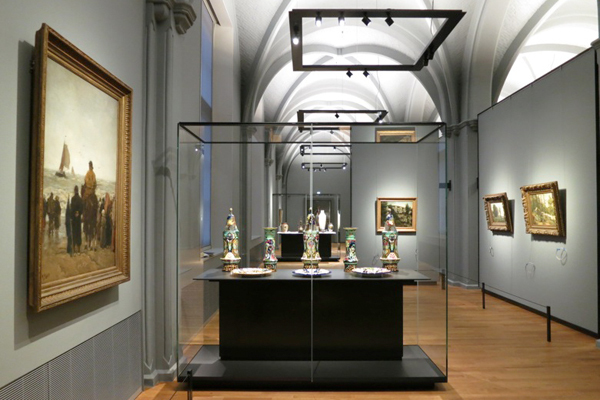 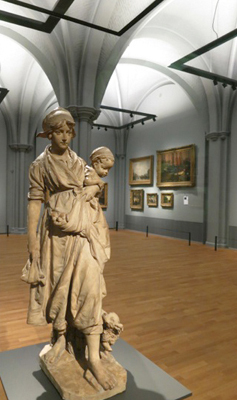 Arup lighting made the initial lighting design, Philips developed a fixture for the Rijksmuseum to highlight the art and supplied the lighting. 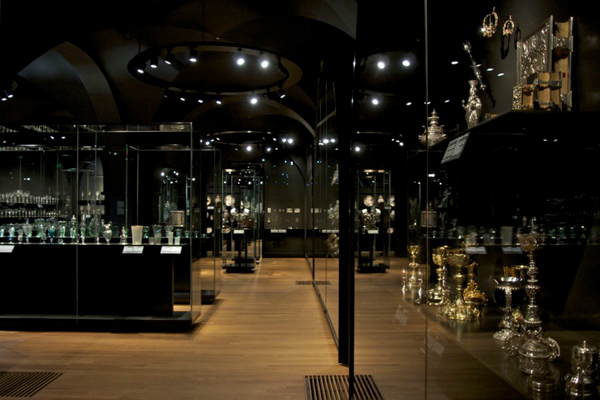 Beersnielsen made the final lighting plan for the illumination of the art and was responsible for the lighting of the art on site.